Born in Temple, Texas, Doyle was playing guitar professionally by the time he was 15. 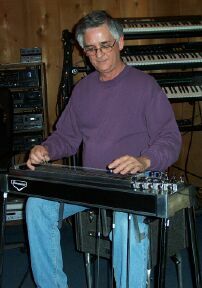 Doyle moved to Nashville and learned and mastered the steel guitar. Doyle also did session work for the likes of Dr. Hook and England Dan and John Ford Coley. But it was country music where Doyle excelled. In the 80’s, he was a finalist as the “Instrumentalist of Year” at the CMA’s awards. He played on dozens of hits for Randy Travis, Dan Seals, Reba McIntire, and George Jones just to name a few.